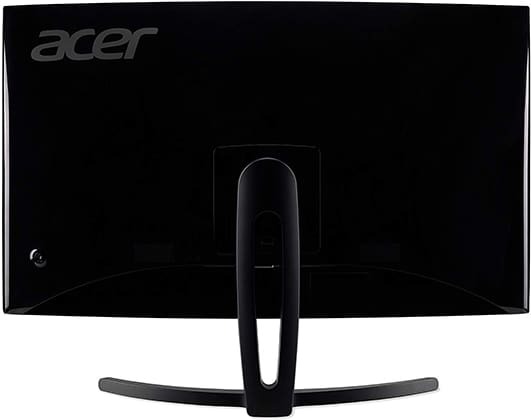 The Acer ED273A is yet another 1080p 144Hz gaming monitor with a curved VA panel. It has no backlight strobing technology like some of its alternatives, but it’s certified as G-SYNC compatible by NVIDIA. Note that the full name of this monitor is Acer ED273 Abidpx. However, since there’s also the Acer ED273 wmidx model (with a 75Hz refresh rate), the 144Hz model is usually referred to as the ED273A. The monitor is based on a VA (Vertical Alignment) panel which offers a high static contrast ratio of 3,000:1, a decent peak brightness of 250-nits, and 8-bit color depth via dithering (6-bit + 2-bit FRC, 16.7 million colors). Further, VA panels have 178-degree viewing angles, so the image won’t prominently shift in contrast, color, or brightness when looking at the screen from skewed angles. Such high contrast ratio allows for vivid dark shades which make the black shades on IPS and TN panels (with a 1,000:1 static contrast ratio) appear grayish in comparison. The colors are not as accurate nor consistent as that of IPS panel displays, but they are gorgeous nonetheless and much better than that of any equally priced TN display. Now, the biggest downside of the Acer ED273A monitor is the low pixel-per-inch ratio. 1080p on a 27″ screen results in a pixel density of ~81 pixels per inch (PPI). In comparison to 24″ 1080p monitors (~91 PPI), everything on the desktop (icons, text, details, etc) will appear bigger but less clear thus reducing the amount of the available screen real estate and detail sharpness. In video games or while watching movies/videos, this isn’t as bothersome as it is when reading and typing. 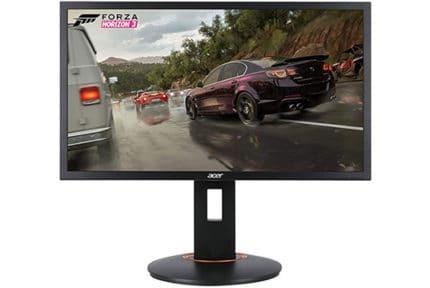 So, if you need a similar monitor for both gaming and work, we recommend the 24″ model of this monitor, the Acer ED242QR Abidpx, over the ED273A. Another downside of the Acer ED273A curved gaming monitor is the response time speed which is the main problem of nearly all VA panel displays. Although the response time is specified to be 4ms (GtG), there is noticeable trailing of fast-moving objects. For the most part, it’s tolerable given the price and image quality of this 144Hz gaming monitor. However, when there are mostly dark pixels in the picture, dark trailing and smearing become more apparent in fast-paced video games. Overall, it’s bearable and actually not an issue if you play non-competitive or slow-paced games, but if you mostly play online first-person shooters, you’d be better off with a TN display with worse colors, but a much faster response time. Moving on, the Acer ED273A input lag amounts to only ~5ms of delay which is not noticeable even by professional gamers. The backlight of the monitor is flicker-free and there’s a low-blue light filter, so you don’t have to worry about headaches or eye strain if you are sensitive to screen flicker or low-blue light. The Acer ED273A supports AMD FreeSync with a 48-144Hz range over DisplayPort and 48-120Hz over HDMI. FreeSync eliminates screen tearing and stuttering with minimal (~1ms) input lag penalty as long as your FPS (Frames Per Second) rate is within the VRR (variable refresh rate) range. You will need a compatible graphics card by AMD or NVIDIA for this technology to work. 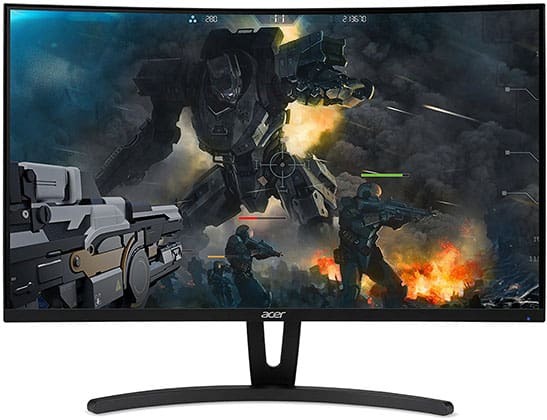 Note that the Acer ED273A display has been certified by NVIDIA as G-SYNC compatible which ensures a flawless performance when using FreeSync with a compatible NVIDIA GPU. Other gaming-related features include Black Boost which increases visibility of objects in the dark without overexposing the bright areas and Aim Point which consists of customizable crosshair overlays. Standard adjustments such as contrast/brightness, gamma, color temperature, input source, volume, etc are available as well. The OSD (On-Screen Display) menu style is quite outdated, but at least the navigation through it is easy. The Acer ED273A G-SYNC compatible gaming monitor has a tilt-only stand (-5°/15°), but it’s VESA mount compatible (100x100mm). Connectivity options include HDMI 1.4 (max 120Hz), DisplayPort 1.2, DVI, a headphones jack, and two 3W integrated speakers. The Acer ED273A price is usually around $280. 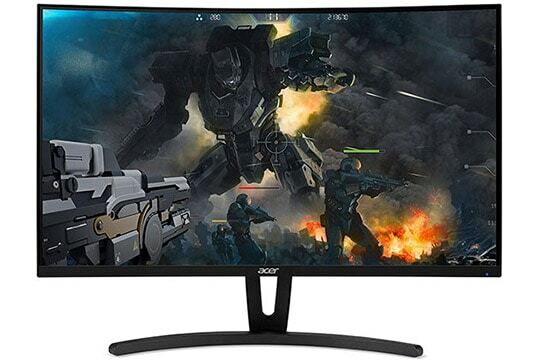 For roughly the same price, you can get the Acer VG271 which is a 1080p 144Hz gaming monitor with an IPS panel. The Acer VG271 is not curved, but the screen curvature isn’t really necessary on a display of this size anyway. The IPS panel of the VG271 offers significantly less ghosting, more accurate colors, and even entry-level HDR support. 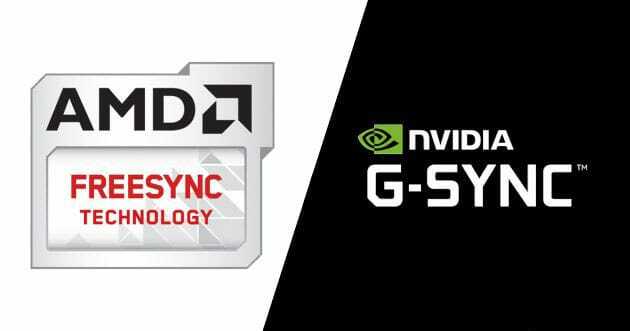 It’s not officially G-SYNC compatible, but FreeSync works without issues with NVIDIA cards. It also has a backlight strobing technology, but its contrast ratio is lower. 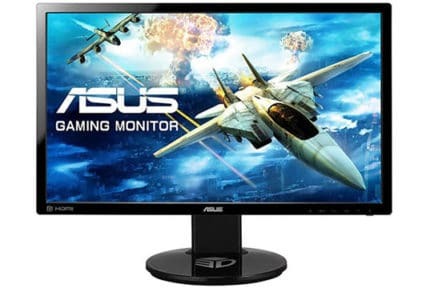 If you want a VA-panel display, we recommend getting a 24″ model with motion blur reduction such as the AOC C24G1 and MSI MAG241C (both support 144Hz over HDMI) or the Samsung C24FG73. All in all, the Acer ED273A is a decent gaming monitor. However, there are cheaper yet better 24″ alternatives as well as equally priced and better IPS models available. The Acer ED273A offers an immersive gaming experience and a smooth performance. However, for less money, you can find better 24" models with a higher pixel density and motion blur reduction. There are also similarly priced 1080p 144Hz IPS models available which are a lot better, especially for fast-paced games.